Representative Celia Israel has introduced a bill to create a Vision Zero Task Force that would present a traffic safety plan to the legislature in 2018, with the goal of reducing fatalities in Texas 50 percent by 2029 and to zero by 2050. Israel told News4SanAntonio she doesn’t know if getting to zero by 2050 can be done, but it’s worth a shot. Advocates for safe streets across the state also support the measure, including Vision Zero ATX, Vision Zero Texas, Bike Texas, and the Houston Coalition for Complete Streets. Currently, more people are killed in traffic in Texas than in any other state. Passing the bill could set the state on a course to systematically reduce traffic deaths. The legislation specifies that the task force would be led by the Texas Department of Transportation with representation from a broad spectrum of state agencies and public interests. TXDOT is currently working to overhaul its federally mandated State Highway Safety Plan [PDF]. These plans in Texas have focused on individual behavior without addressing the broader transportation system, built environment, and other underlying policy factors that contribute to traffic risk and the state’s high crash fatality rate. In revising the highway safety plan, TXDOT could choose to apply principles consistent with the goals of Vision Zero. Already, the development of the new plan involves a much broader set of activists, including representatives of Austin and San Antonio Vision Zero efforts (disclosure: I serve on the stakeholder committee representing the nonprofit, all-volunteer advocacy group Vision Zero ATX). As of today, however, the plan is set to focus on individual behavior instead of systemic policies that shape streets and transportation. You can contact your Texas House Representative and ask that they join as a co-sponsor of the Vision Zero Task Force Bill, HB 1677. 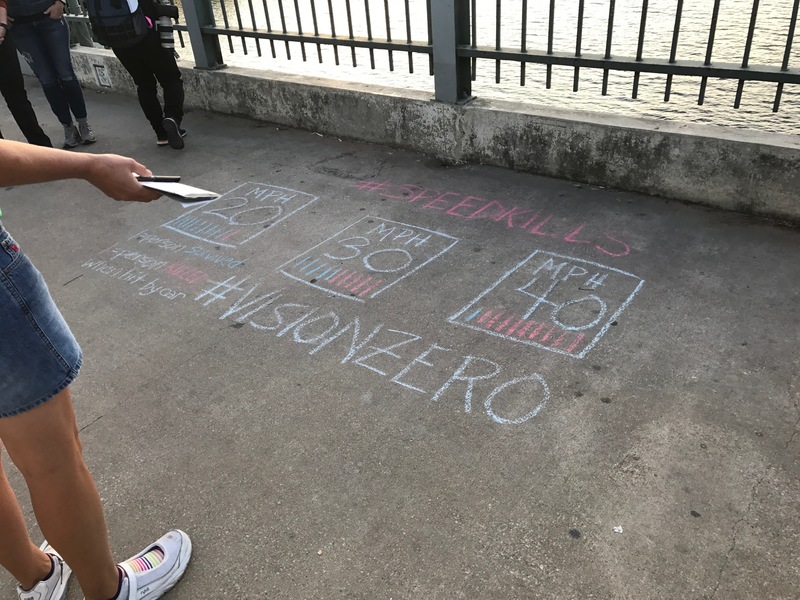 Please contact Vision Zero Texas if your organization would like to sign on as a supporter of this effort or you would like to help in some other way.